This personalized gold name necklace is one of my best sellers! 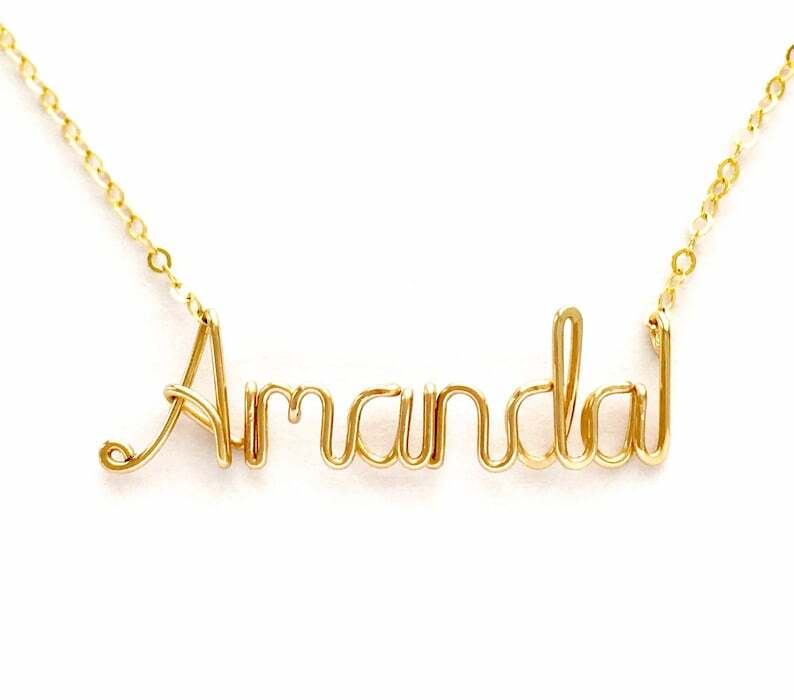 Customize this 14k gold filled name necklace with any name or word up to 10 letters long. This is a special keepsake necklace. 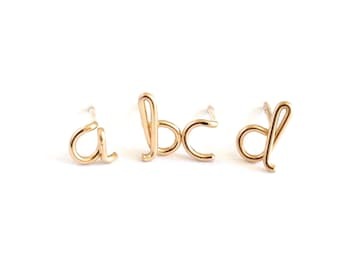 Hand formed from 14k gold filled wire and 14k gold filled chain with spring ring clasp, the name portion measures from 3/4 inch to 2 inches wide depending on how many letters it is. The length you select will include the name and chain. Leave your request for the name in the notes box at checkout. It will be gift wrapped. For additional letters or for two words, convo me for a price quote. The necklace on the model measures 17 inches. What is 14k gold filled metal? It is 14karat gold coated over alloy metal which may contain sterling silver, brass, nickel, steel and other metals. It is not solid gold, therefore much more affordable, but still equally as beautiful and lustrous. It will last several decades or even a lifetime if cared for and diligently stored properly. Your necklace will come with care instructions. xo earrings. Gold Silver x o Studs. XO stud earrings. XO Post Girls Earrings. 14k gold filled xo small earrings. Valentines Day Jewelry. As pictured, received quickly. For daughters birthday, she loved it. Will shop again. The best Christmas gift! Thank you!